this definitely seems like an easy responsibility but most ignore what the tags explaining the conditions your plant needs say. make sure you read the tag carefully and familiarize yourself with the plant’s requirements for sunlight and watering. we recommend doing additional research on the species so that you know what to expect at any given stage. 2. keep an eye on how your plant looks. always check the soil before each watering. if the soil is still soaking after your last watering, you’ve drowned your poor plant but fear not, you can save it! it's important that you allow the soil to completely dry out before you water the plant again. once you've noticed or if you're just noticing that the soil is dry and crumbly, now it's time to water the plant until drops emerge from the drainage holes at the base. after that soaking, don't water the plant until you feel dry soil under the first layer. we stick our finger into the dirt and can tell if it's time for another watering based on the moisture. an important thing we may overlook is the growth your plant is undergoing. always check your plant for new leaves or branches. if your plant isn't producing new foliage, it's likely lacking light fertilization which will enable growth. there is also the chance you may need to repot your plant to allow the roots to grow if you've had it in the same container for an extended period of time. if you've been able to produce new growth (congratulations). if you've produced new growth and your leaves are looking thin and stretching towards the sun, your plant obviously needs more even sunlight. we recently learned that even growth requires rotating your plants a quarter turn weekly, who knew?! if there are brown spots on leaf tips, it's time to revisit your strategy and change your watering schedule and/or levels. the humidity in the area your plant sits could be too high or too low. if you've been over watering your plants, (accidentally) all that excess water will drown the roots and lead to rot and possibly even death (sorry for the dramatics, this is serious!) make sure to mist the leaves 2-3 times a week, it makes your plants so happy and keeps them fresh and green! if you’re not over or under watering, it could be the water itself that’s the problem. tap water can contain excessive levels of chlorine, which is toxic to plants. try filtered water or collect rainwater in a bucket and use that to hydrate your plants. you can also put tap water in a bucket and set it out in the sun for a day to evaporate the chlorine and make the water safe for your plants. keep your plants away from very hot, cold or drafty areas in your home. 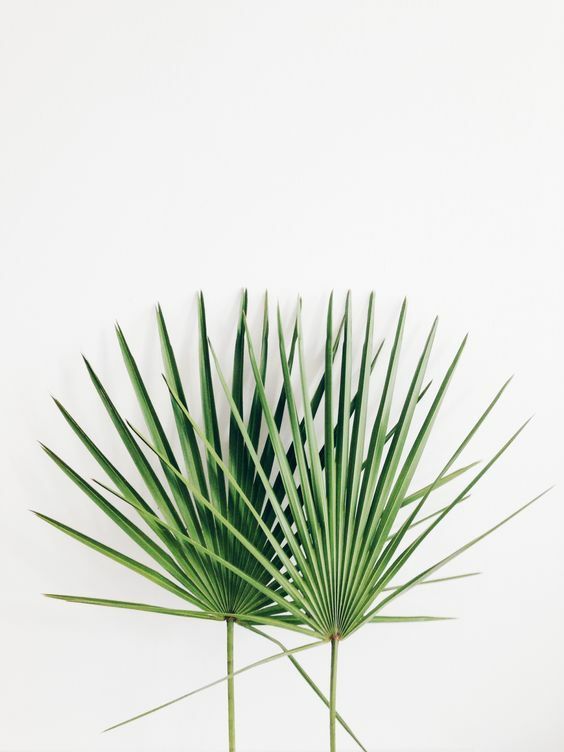 if your plant is in direct sunlight and the leaves look dry, move the plant to a place in your home that receives indirect sun because leaves can get sunburned just like humans. make sure your planter is the right size for your little guy. if the pot’s soil looks crammed at the bottom, the roots are likely getting coiled and may be trying to escape through the drainage holes (escape artists!). these escape artists have been known to poke through the soil's surface, which is a key indicator it’s time to repot to give that bad boy more room to grow and spread it's little roots. we've always used containers that are roughly 2-4" wider and deeper than the original vessel the plant lived in. the first step to repotting is careful removal. place your plant on its side and pry it out with tender loving care. if the roots are coiled, pull them straight and prune if need be before repotting. place the plant in the new container and pour soil around the sides, then lightly water until the soil is moist, then give your plant a little mist, because who doesn't like a refresh after they've been pinched, poked and probed. always make sure that your plants look and feel happy. check your plant while watering for pests or dust build-up on its leaves. if you find pests (mealybugs are one persistent variety and we've sadly had them ourselves) there's a few methods you can try, one of them is placing the plant in the shower and using your shower head to wash off the bugs. we also recommend washing one leaf at a time separately with a gentle micro fiber cloth. we recommend putting a little neem oil on a q-tip and sponging it on the front and backs of each leaf. for dust, you can use q-tips or paintbrushes to remove any unnecessary residuals to keep your plants breathing and happy inside your home!